United Way is creating vibrant neighbourhoods and communities, where everyone experiences a sense of belonging and connection to one another. The strength of a community is in the wellbeing of the people who live there. Everyone – no matter who they are or where they live – needs the chance to reach their full potential. We invest in three key areas that help create vibrant neighbourhoods and communities. United Way is helping Canadians access and navigate the resources they need most in their community – from supporting the expansion of 211 to removing barriers to accessing local services. United Way is encouraging Canadians to get involved in their community, and helping everyone feel like they belong in the place they call home – from promoting volunteerism, to engaging community members in decision-making. United Way is helping Canadians handle life’s challenges and make healthy choices – from counselling for people dealing with addiction or mental health issues, to building independent living skills for seniors. Thanks to your generous support, we’re investing every year in building communities that everyone can be proud to live in. A widow for over 30 years, Seeta was feeling lonely and isolated as she struggled with her health. 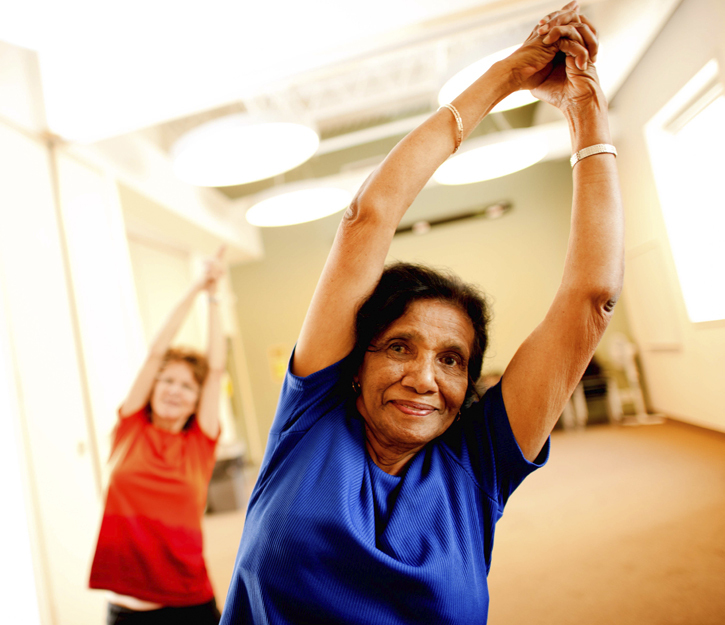 Thanks to United Way, she found a local seniors’ yoga program that is helping her stay fit, connecting her with new friends, and lifting her spirits. Invest in making your local community more engaged, connected and safe for all.